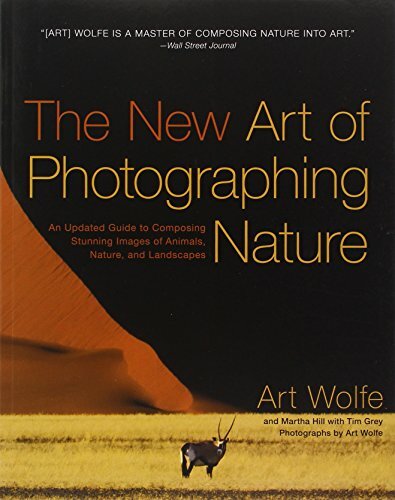 Art Wolfe's book, The New Art of Photographing Nature, is a great addition to any nature photographer’s library. The subtitle of the book is An Updated Guide to Composing Stunning Images of Animals, Nature, and Landscapes. 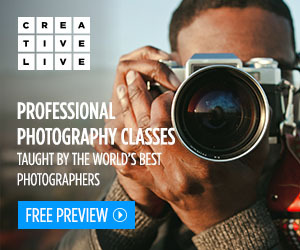 This is an updated and expanded version of the classic, The Art of Photographing Nature. The book contains photographs created by Art Wolfe and text written by Art Wolfe, Martha Hill, and Tim Grey. All the strengths I mentioned in my review of The Art of Photographing Nature still apply to this edition. It is still a book about seeing, learning how to see, learning ways to interpret a scene and to capture that scene as a photograph. The book provides examples, using Art’s photos, of the various elements that lead to strong compositions and powerful, meaningful photographs. Defining Your Perspective: Showing how different focal lengths can transform a scene. As with the previous edition, the book is broken into topics, each of which uses several of Art’s photos to demonstrate the topic. Art talks about the photos from his perspective, in some cases explaining why he feels one image is stronger than another, in other cases just talking about the differences. Martha Hill then talks about the images from a photo editors perspective. She worked as the picture editor of Audubon magazine for 14 years, and shares her experience on what is publishable and why. Art and Martha’s different perspectives can sometimes lead to different opinions about a photo, which can be very insightful. The Elements of Design: Examples of moving the position of the horizon within the photo. With this edition we also have sections written by Tim Grey, covering various topics specific to digital photography. These short sections are spread throughout the book. They are useful for making the reader aware of important topics they can get more details on elsewhere. Reading the Light: Examples of how the direction of light can affect the look of a photograph. In the Field with Art Wolfe: Demonstrating how atmospheric conditions can create some amazing images. Each section usually has from one to several photographs to illustrate the topic, along with a writeup from both Art and Martha talking about the topic. The biggest strength of this book is not just the great examples, but the dual perspectives of both Art and Martha. The only drawback to this edition versus the previous edition is the print quality of some of the older photographs. Some of them seem darker and less sharp than the previous edition. If you don’t have both versions you may never notice, but having both side by side it did stand out. An Editor's View: Talking about how to tell a story visually. Overall, though, I’m very pleased with this book. And I strongly suspect I will go back to it repeatedly over time, as I did with the previous edition. I like to revisit these types of books, reading over sections again, refreshing my memory, relearning topics, and just appreciating the beautiful photography of Art Wolfe. If you don’t already have a copy of the previous edition then I can strongly recommend The New Art of Photographing Nature. It is a fantastic book for learning some of the skills that can help improve your nature and wildlife photography. If you do already have the previous edition it’s a more difficult decision. There is new content, but not a huge amount. Some of the example photographs have been changed, and the layout has been updated, so the book does feel fresh. 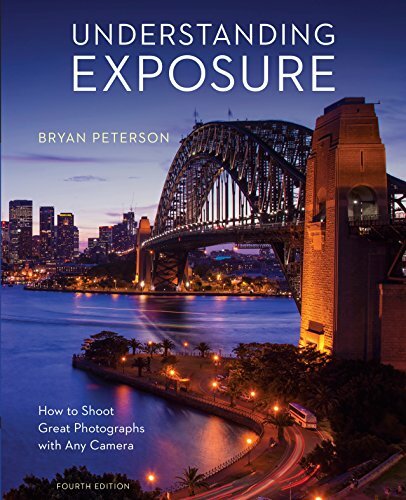 If you read carefully you can find updates that may reflect changes in how Art approaches photography now compared to how he approached it back when the previous edition came out. But this may not be enough to warrant purchasing this new edition in addition to the previous one. I did purchase them both. But whether you should is a decision I’ll have to leave to you. Check out my Resources page for additional books and classes I own or have read or watched.